Look what showed up today! Spoke's new long term test bike and it just so happens it's for ME! 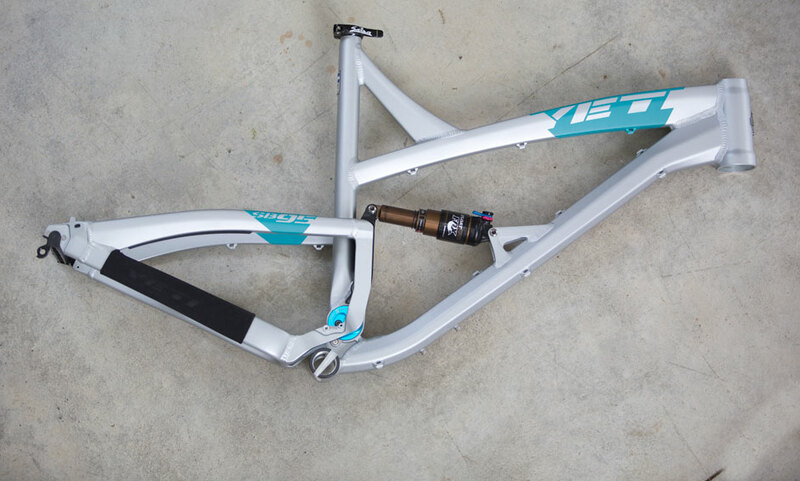 Yes sir, that is an XL Yeti SB95 just waiting to be built up, but I need to chase up a few things first. I'm gonna be running the rear wheel with a 12 x 142mm setup, unlike the Niner which takes a Maxle, the Yeti uses the Shimano standard, so one of those is on the way. In case you've been living under a rock the SB95 is Yeti's 29" trail bike with 125mm of rear travel (via the Switch suspension system). With a fox 140mm fork it will feature a 67.6 head angle and a 13.5" bottom bracket so it's gonna be pretty damn choice and I'm going to be building it pretty burly, with a 50mm stem, 770 Havoc 35 bars and Haven Carbon wheels (I'm getting excited just typing this). I'll be building it up over the next few days; hopefully by Monday this thing will be ready to roll and I'll bring you a full rundown on the built bike then.